Sasamat Gardens in Point Grey is an example of how townhouses can add density to Vancouver Westside neighbourhoods. Point Grey condos are a key part of my business, and a cornerstone of Vancouver Westside real estate. Detached homes worth millions of dollars make most of the headlines here, but the region’s major multifamily developers have built hundreds of multifamily units at UBC. UBC condos, in fact, represent the single biggest concentration of apartments in Vancouver Westside, and a large portion of its new housing stock. An informal audience survey during the Urban Development Institute’s annual forecast lunch found that a third of developers feel Vancouver needs more appropriately zoned land. According to Concert Properties Ltd., the lack of zoned land is a big impediment to boosting the region’s affordable housing stock. I recently reviewed Canada Mortgage and Housing Corp.’s statistics for Westside properties. While a healthy number of apartments exist in many areas, most of them are rentals rather than condos. 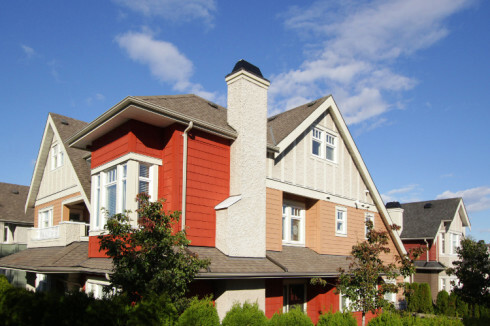 Townhouse properties are also rare, accounting for less than 3% of properties in Dunbar, Kitsilano and Point Grey. Yet demand for townhouses is strong. In 2016, these three neighbourhoods saw 126 townhouses sold, or 10% of all local sales. This gave townhouses a market share triple their share of the local housing stock. Why? One successful townhouse development – although it was controversial at the time – is Sasamat Gardens, an infill-project that transformed a vacant city block into hub of activity. Could the same thing happen elsewhere on the Westside? One hopes so. A greater diversity of housing types means greater choice for buyers. Dunbar townhouses are rare despite strong demand, but opportunities exist to build more. Densification doesn’t need to mean four-storey apartment blocks, let alone towers. Sometimes it simply means doubling up on a lot so that more people fit in, and more choices are available for those looking to buy.